I have updated our English site with new features and contents. I would like everyone to enjoy a fully flash site with valuable contents that you may find interesting. The main treat is the Photoshop Tutorial that we have prepared for you. I have been asked to do a tutorial on some of my works and share the techniques that I am using in Photoshop. I was able to find some time to make it and I hope everyone will be able to learn and develop their own style in graphic designs through this tutorial. 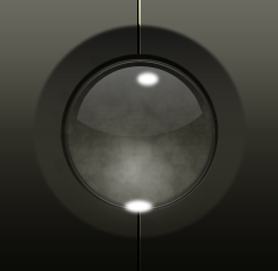 The first tutorial is The Realistic Orb Tutorial For Beginners who may not be very well familiar with basic tools and menu of Adobe Photoshop. My apologies for those who are already familiar with some of the instructions. They may find the steps dragging, sometimes unnecessary but I insist that all are required for the convenience of everyone. For those who prefer the whole tutorial in one image, just like what we usually see at deviantART, I will consider making a downloadable file in the future as I make more tutorials like this one. But for now, please enjoy using our flash interface during your tutorial process. Another feature update is the Recent page. Recent page contains our latest works in illustration, interfaces, graphic works and web designs. You can access the link through the Home page and the Portfolio page of the site. Since the site is a full flash site, all interfaces are interactive and contents are XML driven. Your comments, suggestions, and corrections are mostly appreciated. You can give me your feedback regarding the whole tutorial in this page or you can contact me through our site. Other tutorials will be provided soon so please check the site for updates. Thank You! As I'm a fan of your work, I did the tutorial...... It was fun! although I have my own way of doing things after all these years! hehe. But it was interesting to see someone else's perspective on creating things. And that site is absolutely beautiful!!! thanks a lot tawoods and Master BoXXi...I am glad you liked my first tutorial and the site too. I really love your works, dude. Hope you can share some more of your technique with us.